Spelling. Are you looking for Ecosphere or oosphere? What does Cosphere mean as a name of something? 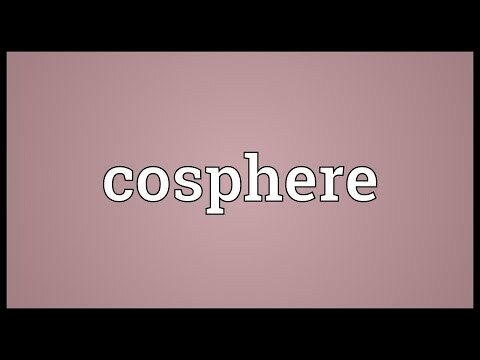 Video shows what cosphere means. A cybotactic region of a solution. Cosphere Meaning. How to pronounce, definition audio dictionary. How to say cosphere. See also the blanagrams of Cosphere! Go to the wordplay of Cosphere for some fun with words!